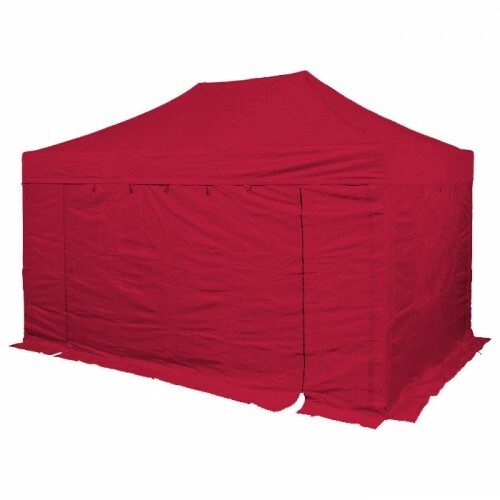 The Heavy Duty Steel 3m x 4.5m Gazebo offers great value for money for those wanting a robost, weatherproof and high quality pop up gazebo. The Robust gazebo is extremely easy to put up and take down, making it perfect for regular use during the summer months for those weekly car boot sales, or even light use in the winter for Christmas markets. Just because the 3m x 4.5m heavy duty steel gazebo's are good value doesn't mean we have compromised on the quality. The commercial grade steel framework is both extremely reliable and durable; the frame comes fully assembled and can be set up in minutes. 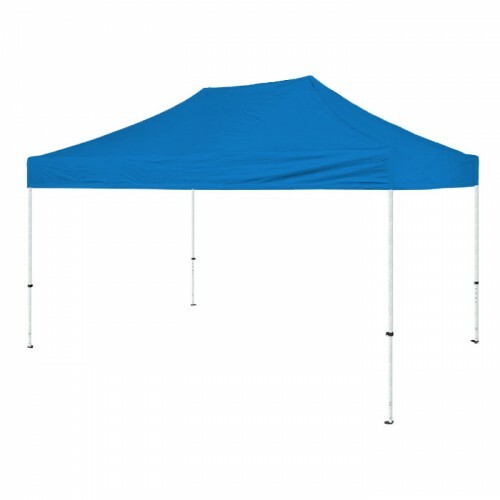 To sum up: The 3m x 4.5m heavy duty steel pop-up gazebo is truly a great instant canopy solution for those who demand a durable, dry and professional outdoor environment in all types of weather. The Gazebo unfolds from its storage bag and pushes up until the spring-loaded steel frame locks the pop up canopy in place. 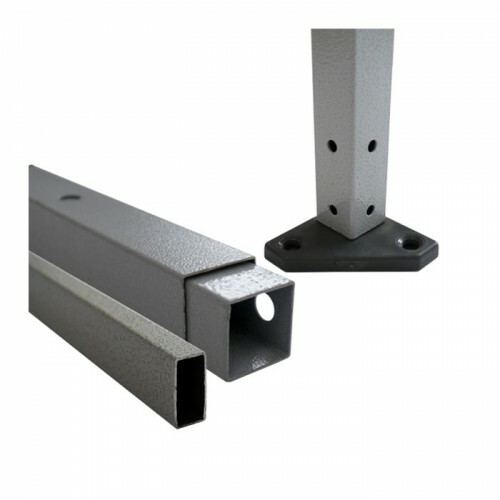 The heavy duty steel frame struts provide stability and strength. This range of high quality steel pop up gazebos is ideal for every market trader and trade show exhibitor or even home users. 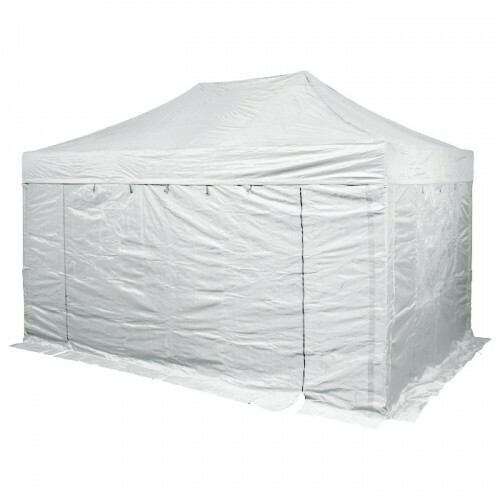 All of our Gazebos (unless stated) include a FREE heavy duty storage bag!